October is Breast Cancer Awareness Month, which is marked in countries across the world, and helps to increase attention and support for awareness, early diagnosis, and treatment as well as palliative care for women facing this disease. 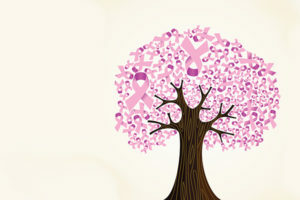 Even though, I have been a long time supporter of non-profit organizations: Susan G. Komen (in the past) and Living Beyond Breast Cancer (currently) by fundraising money for breast cancer research, I want to talk today about cancer as a whole. Subject of cancer is very dear to my heart because I lost my mom to Fallopian tube cancer in 2007. Since then I have been researching and reading about cancer diagnosis, prevention and treatment. Today, I would like to share some information that I found valuable and interesting but might be different from general western medical view. But before, I do that look at this cancer statistic. Among men, the 5 most common sites of cancer diagnosed in 2012 were lung, prostate, colorectum, stomach, and liver cancer. Among women the 5 most common sites diagnosed were breast, colorectum, lung, cervix, and stomach cancer. More than 60% of world’s total new annual cases occur in Africa, Asia and Central and South America. These regions account for 70% of the world’s cancer deaths. Based on multiple research of cancer causes, only 25% is linked to genetics (inherited) and other 75% linked to environmental and lifestyle risk factors that can lead to gene expression . The study of biological mechanisms that will switch genes on and off without changing DNA (gene expression) is Epigenetic. You can learn more about Epigenetics here. Cancer loves sugar. Glucose is an energy sources not only for function of normal cells but also for cancer cells. In fact, sugar, glucose molecule to be exact, is used for targeting cancer cells in the body during diagnostic studies with contrast, such as CAT, PAT or MRI scans. So, the more sugar (glucose) accessible for cancer cells the stronger they will be. And you have a choice to starve to death or flourish cancer cells. 2. A recent research study concludes that cancer requires acidic habitat to grow and metastasize. What does it mean? What is acid – alkaline environment and its effect on our cell? The following explanation is extracted from my forthcoming book “Listen to Your Body and Regain Your Health”. When we talk about acid-base balance, we are referring to the pH of a substance. The acidity or the alkalinity of a solution is determined by the number of hydrogen ions (H +) it contains. The pH range on a scale from 1 to 14, with one is being highly acidic and fourteen is being extremely alkaline. Any natural solution, such as water, will have pH value of 7.0. Many bodily fluids have different pH value: saliva- 6.3-6.8, gastric juices-0.9, bile- 5.4-6.9, pancreatic juices-8, and urine-6. This is due to their specific biochemical content and metabolic function. Our blood pH is slightly alkaline and must be maintained in the range 7.35-7.45. Any deviation from this minimal range will trigger body’s pH balancing mechanisms. There are three major physiological control systems exist within the body to control blood pH. The first mechanism involves a buffer system. All bodily fluids such as blood, lymph, intracellular and extracellular fluids are supplied with acid-base buffers which combine with any acid or alkaline substance and prevent excessive change in the hydrogen ion concentration. Another mechanism the body uses to maintain normal pH is within the respiratory system. When the hydrogen ion concentration (H +) changes measurably, the respiratory system is immediately stimulated to alter the rate of pulmonary ventilation and the quantity of carbon dioxide (CO2) within the system. High levels of CO2 increase acidity within the blood. When people eat too much acidifying food they have sour test in their breath. This is the way lungs try to get read of H ions to balance pH. The last of the three major physiological control systems of the body to maintain normal pH involves the kidneys. When the (H +) (hydrogen concentration) deviates from a normal value, the kidneys excrete either an acid or alkaline urine. You can test it by smelling urine after drinking coffee or soda. After understanding our body pH balance mechanism, we can implement the same principals to the food that cause acid-base disturbance and serves as a major contributor to many chronic diseases. Food (organic matter) is taken into the body and broken down into simple compounds (monosaccharides, amino acids, lipids and others). After metabolism (brake down) of these compounds, mineral elements (residue) are formed that determine the H+ concentration and thus acidity or alkalinity of the body. The acid-forming residues are sulphur, phosphorus and chlorine, while the alkaline formers are sodium, potassium, calcium, magnesium and iron. Our body is very smart and efficient with all physiological mechanisms that keep pH in balance. When we constantly bombarded our body with acid-forming food, even perfectly working mechanism that is overused will break at some point. The continuous process of buffering acidic environment will compromise many organs and tissues in the body. Kidneys will become overwhelmed and will eventually fail. Constant acidic condition in the lungs with time can cause asthmatic condition or other lung disease. Acidic blood will make Red Blood Cells sticky and will lead to formation of blood clots that can cause vascular diseases, heart attack and stroke. Chronic activation of carbonate buffer mechanism to overcome body acidosis will release too much salt. It can cause crystals and stones formation in different organs, such as gallbladder, kidneys, joints, as well as calcifications in tissues such as breast, thyroid, prostate, uterus and so on. Acidic condition is a breeding ground for growing infection and chronic inflammation. As a result of continuous body acidity – degenerative diseases and cancer. 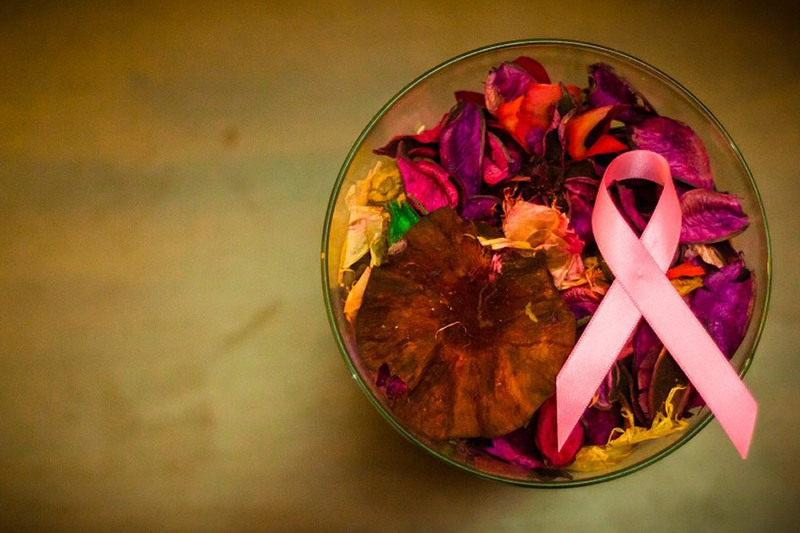 “If acidic condition is removed, cancer can be ceased or reversed”. How can we help our body to maintain perfect acid-base balance? Since we are constantly supplying acids and alkalines to our bodies through the various foods we eat, it is very important that we consider the balance between these two extremes. The ideal formula for body’s slight alkalinity is 80% of alkalizing food and 20% of acidifying food consumption. Ideally, if you maintain this ratio in every meal you can prevent many chronic diseases, cancers and prevent premature aging. Your body will appreciate it. After knowing the list of acid and alkaline-forming food you can easily combine them together. If you would still need help with optimal food combination, you can connect with me by e-mail. In the following months we will look at the oxidative stress as one of the leading causes of cancer as well as many other degenerative diseases and aging. I would be very happy to hear If you would like to discuss any other topics on cancer or different issues. Please, do not hesitate to let me know by e-mail. I’m here to serve you. I hope you found this article enlightening and useful. And if you know of anyone that might find this information helpful – or maybe just needs a bit of inspiration – please share! Endocrine Disruptors. How to eliminate them? Do you desire more health and happiness?